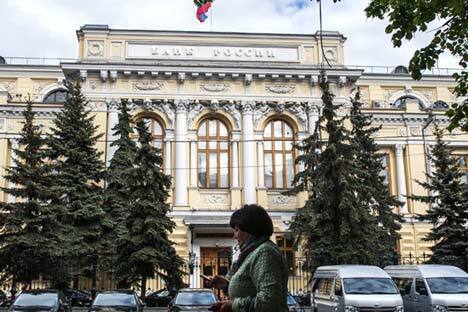 Russia’s Central Bank revoked license for banking transactions from the Defense Industrial Bank (VPB, Voenno-Promyshlenny bank), a member of the Deposit Insurance System, the regulator reported on Sept. 26. According to the bank’s financial reports, as of Sept. 1, 2016, it occupied 89th place in terms of assets in the Russian banking system. According to the Central Bank, amid unsatisfactory quality of assets, VPB Bank, founded in1994, was not adequate in its estimates of assumed risks. A proper credit risk assessment and non-biased estimation of assets’ valuation in the financial reports of the credit organization caused a total loss of its own funds (capital). Also, the lender did not follow the requirements of legislation in the area of money laundering and financing terrorism regarding timely provision of information to competent authorities, the regulator said. Starting Sept. 16, 2016 the Bank of Russia conferred the functions of the bank’s temporary administration on the Deposit Insurance Agency (a state operator for deposit compensation payouts) for a six-month period. The key aim of the temporary administration was to explore VPB’s financial state, however, it faced considerable difficulties due to the acts of the bank’s top management, which failed to provide legal documents on the assets of the credit organization. In accordance with the Central Bank’s order, the temporary administration has been set for Defense Industrial Bank until there is the bankruptcy supervisor or the receiver. The authority of the bank’s executive bodies has been suspended.